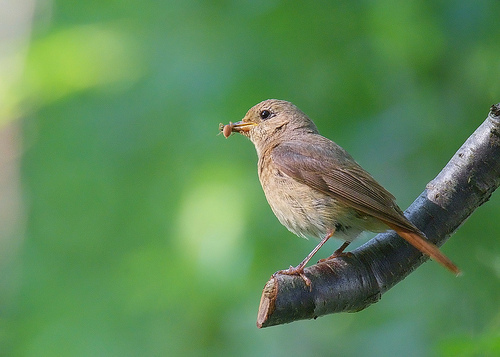 The Redstart has its name by right: a reddish brown tail, which stands out when the bird flies away. Unfortunately, the number of species is still declining. 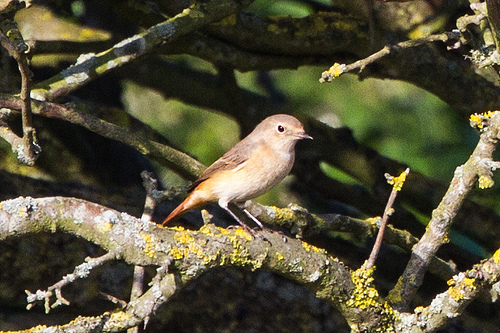 The female Redstart is browner, with a slightly orange-coloured breast. The female Black Redstart is grey.